Since founding in 1945 JOVYATLAS has been located in the west of Northern Germany in the region of Leer, East Frisia, close to the borderline with the Netherlands. This location offers our company an environment with an extremely high quality of life as well as optimal transport connections at the same time. Leer is optimally reachable by car or truck over its direct connection to the A31-motorway. We are also able to be easily reached by airplane through the regional airport at Nüttermoor (travel time of approx. 10 min.) or the international airport at Bremen (travel time of approx. 60 min.). Moreover the good transport connection to the network of the German Railways guarantees fast accessibility from all directions. Due to the continuous expansion of the company Wärtsilä JOVYATLAS made ​​several building expansions and relocations of production to increase the capacities. As the headquarter in Leer, Groninger Straße, no longer offered sufficient space for production, an extension was necessary. However, the envisaged expansion in Leer city failed at that time because there was no adequate space available. So the resistor manufacturing was outsourced to Jemgum and moved into the industrial area Jemgum, Soltborg, in 2003. There was built-up a production hall with an area of ​​800 square meters at that time. Due to the very positive development of resistors' manufacturing those production facility in Jemgum have been extended since 2003 serveral times in several phases (2006, 2007 and 2010) up to a current area of 2200 sqm. But even after stock-removal in 2010 the production area in Leer, Groninger Straße, where the manufacturing of the uninterruptible power supply (UPS-production), inverters and special power supplying systems took place becames much too small and the limited space stopped a further development and an increasing business volume. The splitting of the company at three locations was accepted as an interim solution in buying - but in parallel since 2010 the planning ran for a redeployment of all three areas at one common location. 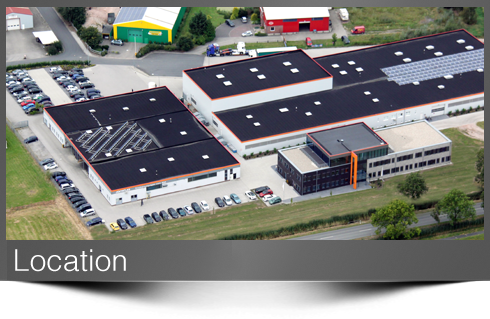 After a construction period of only 8 months, in 2014 the production of ups systems, inverters and further power supply systems could move into the new production halls in Jemgum next to the existing manufacturing area of resistors. Also the material stocking and shipping area were integrated into these new facilites. Since then, there are the entire production, the stock and the test department are located in Jemgum. 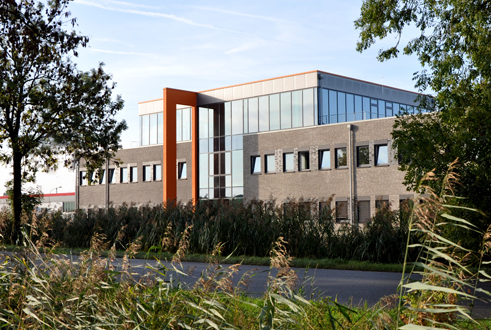 In a second phase of construction in 2015, the new administration building was completed, so that in October 2015, the headquarters of Wärtsilä JOVYATLAS in Leer moved to Jemgum, Fennenweg 4. With the new office building (1300 sqm), the new production hall (4800 square meters) and the existing old production hall of resistor manufacturing (2200 sqm) there is achieved a total area of ​​8300 sqm. The plot size of approximately 23.700 square meters allows further extensions. In the new buildings, the latest technology in the field of manufacturing and logistics ensures increased efficiency. A new test department with energy recovery and a photovoltaic system on the roof improve the energy balance significantly.